95 weeks down, 9 weeks to midterm elections. Action 1: Support justice at the highest level. Call: Your two senators—red or blue—today (look up). Script: Hi. I’m calling from [ZIP] about Brett Kavanaugh’s Supreme Court nomination and to urge [name] not to confirm him. Past nominees have been subject to intense but necessary scrutiny. The records Republicans have requested won’t be available until October. All senators, including [name], have a responsibility to the American people to thoroughly vet any nominee. I urge a delay of a vote until there has been a complete review of Kavanaugh’s record. Action 2: Oppose unfit, unethical leaders. Call: Your two senators by this Thursday (look up). Script: Hi. I’m from [ZIP], calling to ask [name] to reject Kathy Kraninger’s nomination to lead the Consumer Financial Protection Bureau. She oversaw the budget of the current administration’s inhumane, zero-tolerance immigration policy, leading to family separation. I would like [name] to reject this unqualified, unfit nominee. Action 1: Speak up for people impacted by mass incarceration. Script: Hi, I’m calling from [ZIP] to support the bipartisan Sentencing Reform and Corrections Act. It would reduce costly mandatory sentences that are crowding federal prisons with nonviolent offenders, wasting our tax dollar. Will [name] co-sponsor and vote for S.1917? Thank you. Incarcerated people in 17 states are participating in a nonviolent protest of prison conditions from August 21 to September 9. They are advocating for reforms that respect their dignity as human beings. Write: An encouraging letter to a prisoner. ▢ Action 1: If you do only 1 thing besides vote, please do this 5-min task. Speaking up can make a huge difference in the fairness and success of your district’s elections. Call: Or write your local election official (look up). Script: Hi. I’m from [town], calling to ask a few questions about how our district is preparing for the upcoming elections. Does our district keep an offline daily backup of votes as they come in? Will our district conduct an election audit to ensure accuracy? Does our district use electronic voting or paper ballots? If voting machines break, will our voting district have enough emergency ballots on hand for 2-3 hours of voters at peak times? What about adequate numbers of provisional ballots? If a machine breaks, will each polling center have pre-printed signage that instructs voters on alternative options? What plans are there to accommodate voters with disabilities in this case? Are there enough paper ballots printed if 100% of registered voters participate? If any of the answers are NO: Voting security is a crucial issue. Can you tell me what [name] is doing to resolve this before midterm elections? Action 1: Speak up for documented American citizens. Script: Hi. I’m from [ZIP] and just became aware that an increasing number of Americans are having their citizenship questioned by DHS and being stripped of their passports. This is unacceptable. What is [name] doing to protect his/her constituents and hold the Department of Homeland Security accountable? Action 2: Speak up for people penalized for following immigration rules. Script: Hi. I’m from [ZIP], and I’m calling to express my concern that the US Citizenship and Immigration Services (USCIS) is turning into an enforcement arm of the Department of Homeland Security. USCIS’ updated “Notice To Appear” policy immediately initiates removal proceedings once an immigrant’s application to remain is denied for any reason—including departmental inefficiency—and prevents them from legally contesting the decision. Applicants need a clear process to follow, not a catch 22. 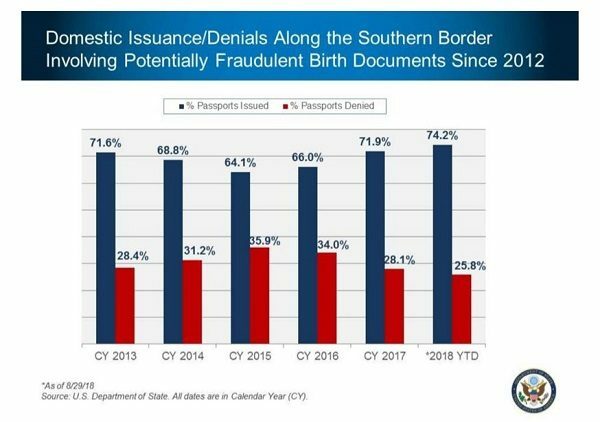 What is [name] doing to prevent USCIS overreach and hold DHS accountable for its growing intolerance of people immigrating to the US? Thank Sanhita SinhaRoy, American Library Association Interim Editor and Publisher, for the excellent article reminding us of the unique opportunity librarians have to conduct non-partisan voter outreach. I appreciate the message and creativity behind encouraging voters new, young, and old alike to participate on Election Day. Thank Sister Norma Piementel for the warmth and welcome your organization provides to people seeking refuge in the US. I am one of many Americans speaking up for basic decency as I watch our administration’s actions in horror. It is heartening to know your group is serving those we care about, our new neighbors. Be well. Ruling: ICE should not remove people in the process of applying for green cards just because they have final orders of removal. Ruling: A transgender woman has the right to express her gender identity in prison. TX prison system will decrease cost of phone calls and increase call-time limit. Rising costs and decreased use causes Atlanta’s mayor to seek selling the city’s jail. ACLU initiated a voting reminder campaign expected to reach 1.3 million people. American Latino Media Arts awards to be presented by UNIDOS and Fuse Media. Photoville, an annual outdoor photo exhibition in Brooklyn, will focus on immigration. Arbitrator rules that Colin Kaepernick’s voice will be heard. How an Oregon community came together to support its detained asylum-seekers. This border-town group offers a warm welcome to people seeking asylum in the US. A teacher who values diversity begins the school year by asking students to mix paints to a shade that matches their own skin tone. Singing Samoan firefighters lift their peers’ spirits in California. A German opera, Moses, highlights the refugee crisis with an international youth cast. Despite being incarcerated, people all over the country advocate for one another’s basic rights.